Holds small portion of ashes, lock of hair, dried flowers, etc. Treasured Memories® has created the most beautiful, Classic Cross Cremation Pendant available. Cremation Jewelry at its finest! 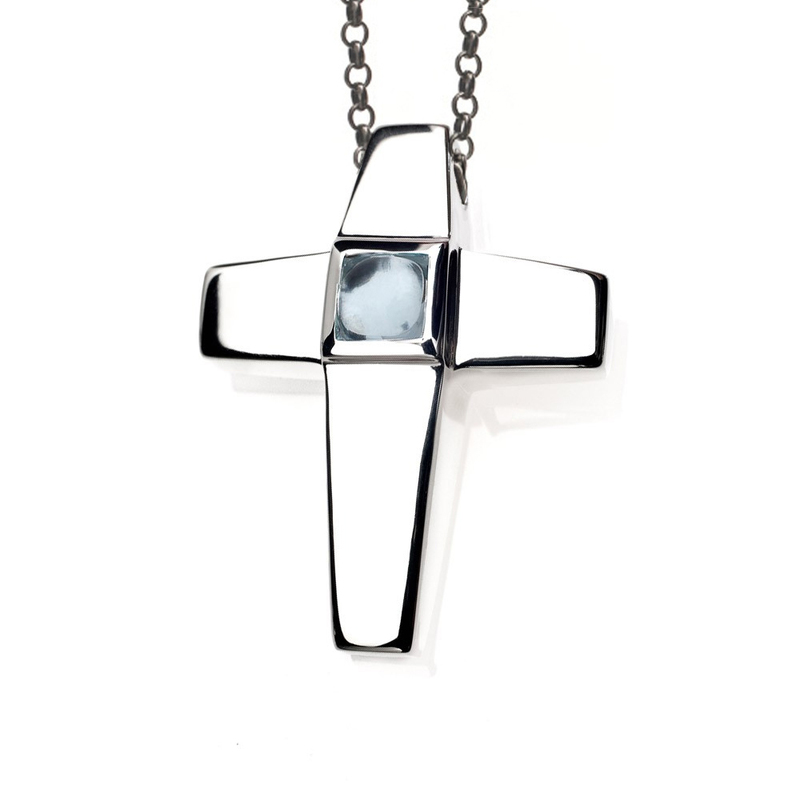 With stunning high polish Sterling Silver contemporary lines, the renowned cultural symbol of the Cross Pendant is made even more spectacular with the most popular Christian Gemstone: Aquamarine. Meant to be worn as a reminder of faith, love and spiritual devotion, The Treasured Memories® Cross Cremation Pendant is a classic token of spirituality. Treasured Memories, Inc. is pleased to offer high quality and detailed hand engraving, which adds flair to every gift. 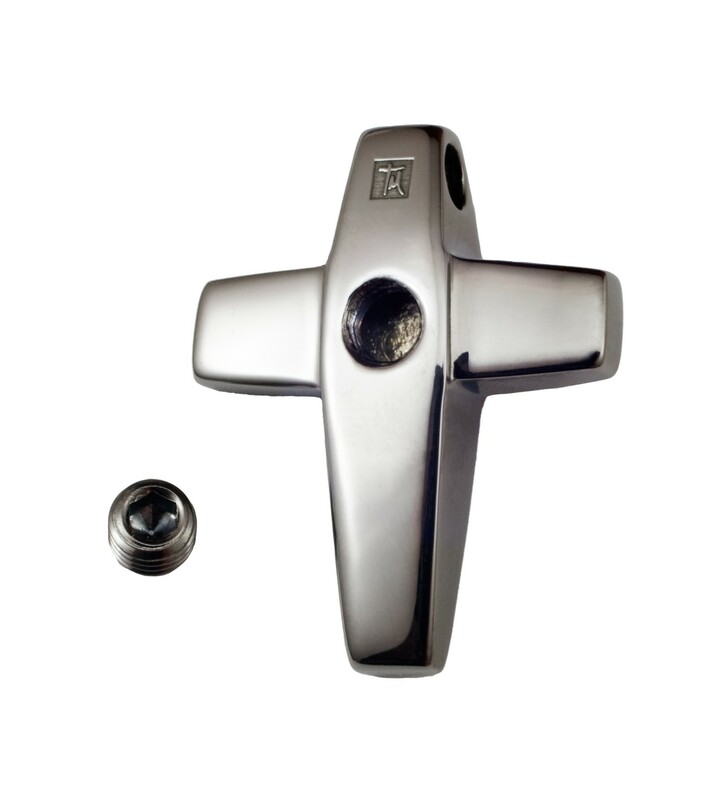 This Cremation Cross Pendant can be customized with engraved name, dates, initials or heartfelt message for a loved one on the back of the pendant with up to 30 characters (including spaces) in one of our most popular font styles: Block, Script, and Traditional. "I just wanted to send a note telling you how much I appreciate your work. The necklace made it in plenty of time for graduation and he loved it! The inscription came out beautiful and I may eventually get one for myself!"